PROMO CODE DIWALI16 IS NO LONGER AVAILABLE, YOU HAVE TO PAY $5/TICKET FROM NOW!! 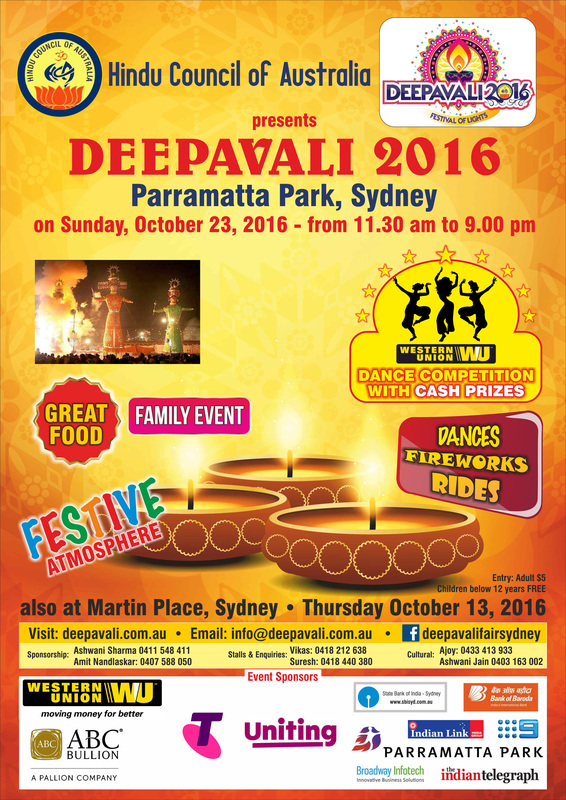 Deepavali Festival 2016 is all about coming together to celebrate the glorious festival of lights in Parramatta Park Sydney. It is an attempt to bind people of Indian origin to their ancestral roots and rejoice the richness of Indian heritage and culture! 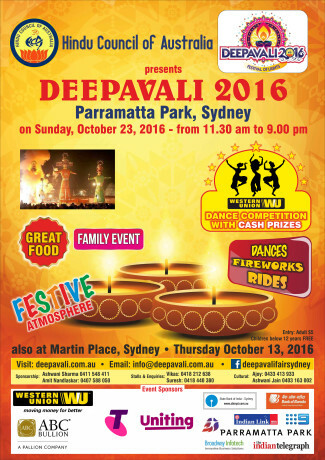 Hindu Council of Australia is proud to present the Deepavali Festival 2016 on 13th October at Martin Place Sydney. Enjoy a great evening with glittering lights, good food, entertainment and smiles all around! Premier Tickets is proud to be the online ticketing partner for the event. Premier Tickets is Australia’s leading online event ticketing & marketing solution provider. We act as a channel between the event organizers and end customers helping our clients with hassle free event ticket booking, event marketing & promotion solutions. Contact us for any of your ticketing & marketing needs for Vision 2020’s Deepavali Festival 2016. Premier Tickets is an online event marketing and ticketing agency. Premier Tickets will NOT be responsible for any changes related to the event schedule, artist, venue or cancellation and refunds related to the tickets.